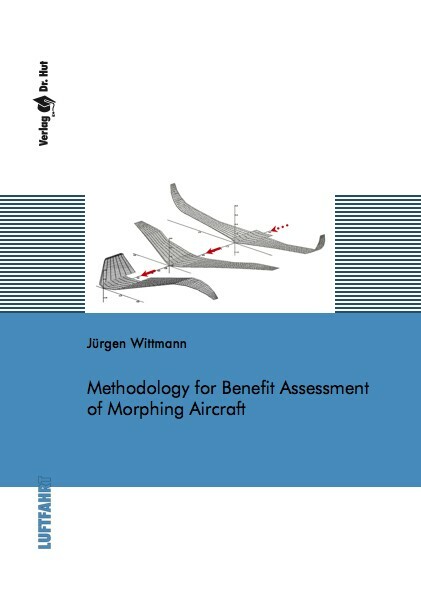 The created methodological framework generates a comprehensive and quantitative benefit assessment of so-called morphing aircraft with variable outer geometry to increase flight performance and capabilities. The used simulation modelling methods allow for continuous geometry optimisation during a flight mission. Using the example of a wing, basic degrees of freedom and optimal combinations are evaluated with respect to their benefits and technological efficiency. As a major result, the mission fuel burn is minimised by means of various morphing degrees of freedom while taking possible weight penalties and an increase in complexity into account. By varying wing sweep, span and wing chord maximum maneuverability was achieved. The developed methodology provides an important interface between conceptual aircraft design and morphing system development.